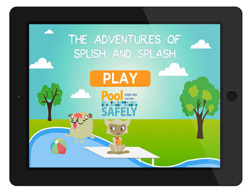 Request a Water Safety Presentation*! Program may not be available in all areas. 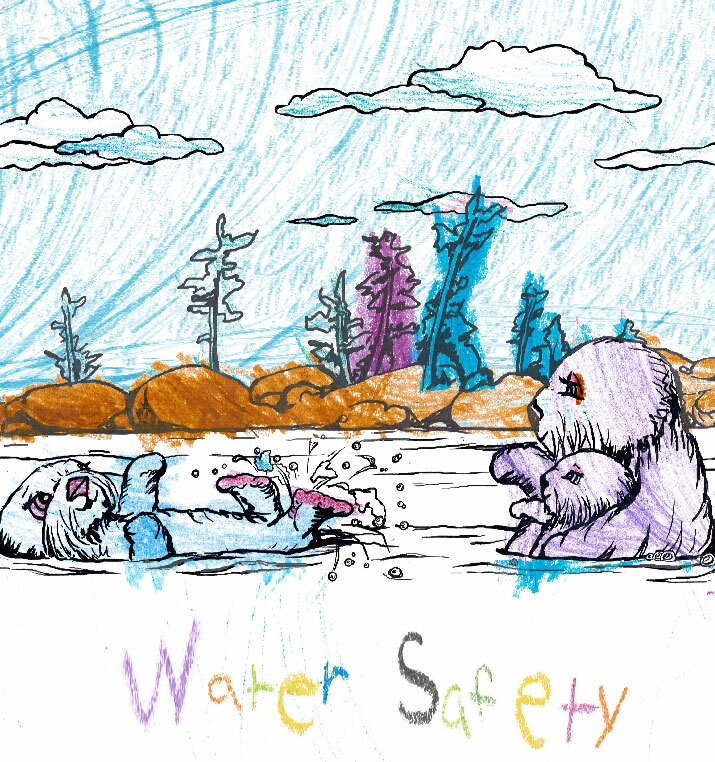 Teaching children water safety is a key part of reducing child drownings. In Florida, drownings are one of the leading causes of child deaths. This web page includes many resources for caregivers and teachers. Please feel free to download and use the coloring and activity sheets, videos, puppet show, etc. Contact your local DCF representativeto schedule a water safety program in your class, summer camp, library, book store, etc. The programs can include reading of water safety books; a puppet show created; coloring sheets; costumed characters; giveaways of small water safety beach balls, tattoos, book marks, stickers, books, etc. ; Olympic swimmers serving as speakers; and more! All items and programs are FREE of charge*. Never go near the water without an adult. While swimming can be fun, it’s important for young children to know that the fun can’t begin until a “Water Watcher” is present. Once an adult is watching, summer swimming fun can start. Drowning can happen quickly and quietly, which is why actively watching your swimmer is a necessity. Even after the summer months, make sure your child knows never to go near the water alone and to always have a swimming partner. Prevent unsupervised water access by installing barriers around your pool or hot tub and remove any pool toys that could attract children to the water. Life jackets should be worn at all times while in a boat, raft, inner tube or on a dock. If a child cannot swim or is an inexperienced swimmer, lifejackets should be utilized at all times while in the water. Life jackets should be properly fitted in order to keep your child’s head and face above water. Remember, life jackets only work when they are worn, so make sure your child gets in the routine of putting one on every time they get near the water. As fun as water wings and inflatable toys may be, they don’t provide the same support as a U.S. Coast-Guard approved lifejacket. Swimming Lessons have been shown to reduce drowning incidents, which is why the American Academy of Pediatrics recommends that children ages 4 and older learn to swim. Even if your child has taken swimming lessons, never assume that their risk of drowning has subsided. Always be cautious of pool floats or toys that could interfere with your child in the water. Learning how to swim should be a fun activity, promoting aquatic awareness and minimizing intimidation. To find swimming lessons in your area, contact your local YMCA, American Red Cross, American Heart Association, city facilities, or swim school. If there is an emergency, call 9-1-1 or find an adult. Although a child may have had swimming lessons or is utilizing a life jacket, sometimes water accidents do happen. Make sure your child knows to call for help or find an adult when trouble occurs. When watching a child swim, always make sure to have a cordless phone nearby in order to call 911 if a dangerous situation arises. Stress the importance of staying away from pool drains and suction fittings in order to have a fun, safe swimming experience.